The Coalition Government has developed the concept of the ‘structural reform’ plan as the key tool for making government departments accountable for the implementation of the reforms set out in the Coalition Agreement. They also set the context within which cuts to public expenditure are to be made. 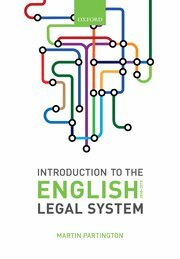 In the context of the English Legal System, those most relevant are those published by the Ministry of Justice and the Home Office. 5. Civil liberties with a full programme of measures to reverse the erosion of civil liberties and to roll back state intrusion. * protect our citizens from terrorism.